1. Click Voice at the top of your page. 2. 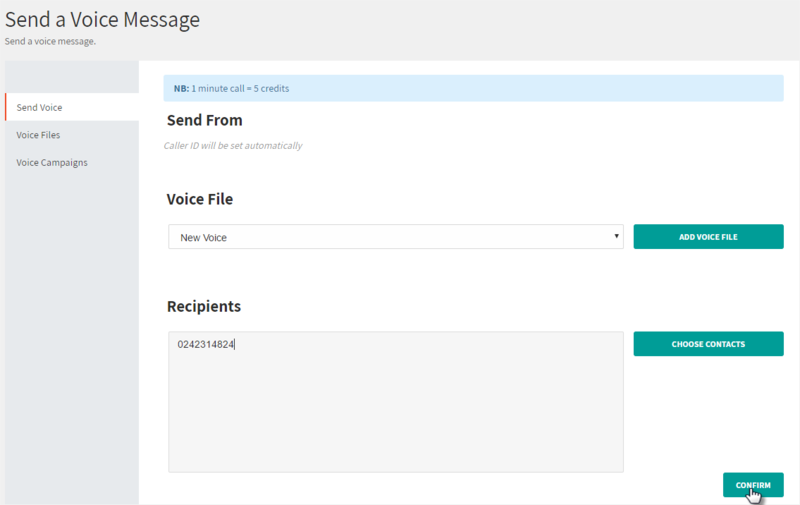 Select a previously uploaded voice file or click Add Voice File to upload a new file from your computer. 3. Enter the contacts you want to send messages or click choose contacts to select a previously uploaded contacts list.